We all have a bucket list, whether it's wrote down on paper or memorised in our minds. It's likely your bucket list includes the likes of swimming with sharks and bungee jumping but of course it will also include some form of travelling the world. 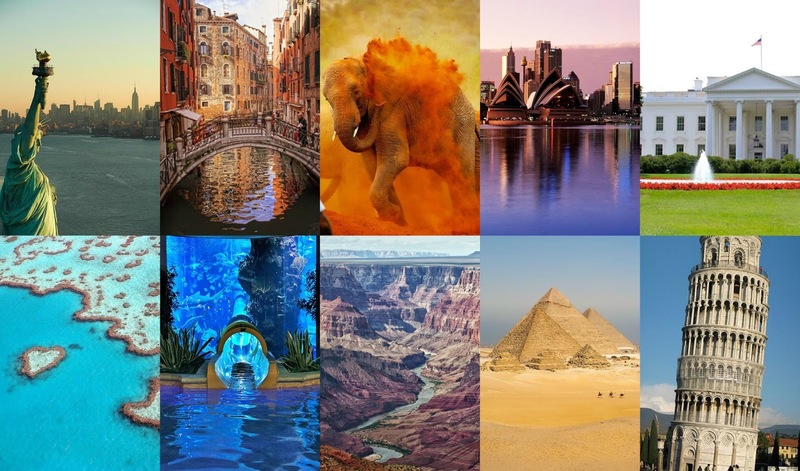 I had an idea to write about the places on my bucket list and it wasn't long before I headed to Pinterest to find lots of photos. The top place for me will always be Australia, it's somewhere I've always to visit, though I'd want to stay there for a month or more to travel around the entire continent. I'd especially like to go diving in The Great Barrier Reef and of course see the Sydney Opera House, but I'd also love to go for a bush walk and visit a Koala Sanctuary. Most of the pictures above are taken in Italy as it is a gorgeous country full of architecture. I would have to see The Colosseum and the Leaning Tower of Pisa, as well as riding a Gondola down the Venice canals. 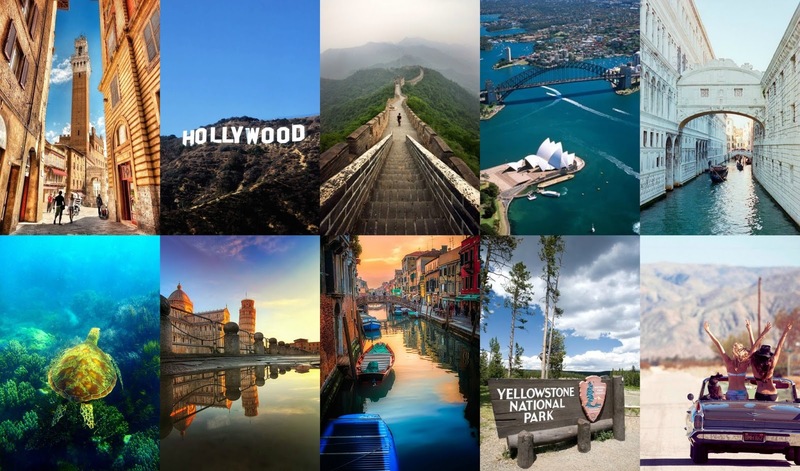 The biggest place on my bucket list is America as there's so much I'd love to do, the ideal situation would be a year or so long road trip as I'd be able to visit all the major cities and see all the sites. It's a massive dream to visit even one city of America so to visit most of them would be crazy. I would also love to visit Egypt and see the pyramids, I believe that's something everyone should do at least once in their life. I also think you should ride a camel at least once in your life too! Other sites I'd like to see include the fantastic Nothern Lights, the Taj Mahal in India and the Great Wall of China. 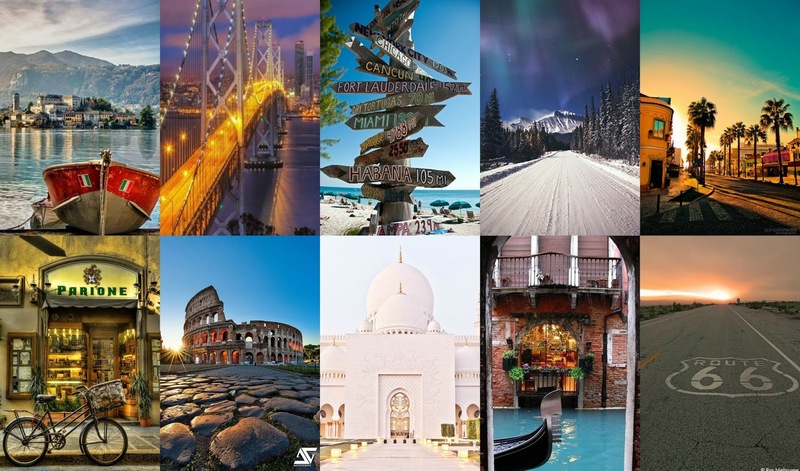 What cities and countries are on your bucket list?